Tarraganda: Why live in Tarraganda? Tarraganda is considered the North Shore of Bega. 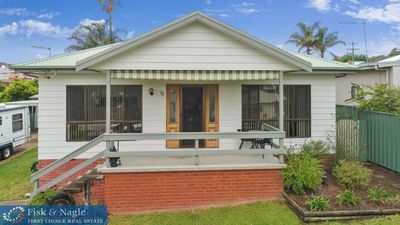 Located 2kms outside of Bega it is a picturesque area comprised largely of farming and lifestyle blocks. Homes built on the lifestyle blocks are large and prestigious although smaller, standard size sections and houses exist in the area around the golf course. House design is predominantly brick and tile although in areas of later subdivision rendered houses are popular. Bush blocks have been subdivided along the Reedy Swamp Road and here, houses made from alternative materials can be found. Tarraganda residents rely on the Bega shopping district which is a relatively quick 2km drive. Tarraganda students attend local Bega public and private primary schools while high school aged children have the option of attending the Bega Public High School, the South Coast Anglican College or the Lumen Christi Catholic College in Pambula. Full bus services are provided for school age students in this area. 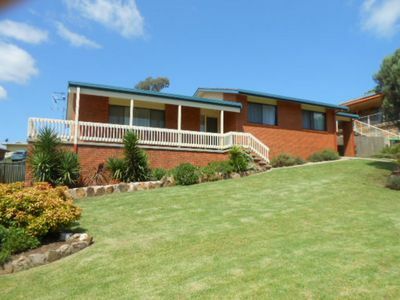 Tarraganda is located 2km from Bega and a ten minute drive to the beaches at Tathra. Access to Tathra can be gained by driving along the Tathra Road or over the Dr George Road. State and Interstate bus services provide a daily service to Sydney, Melbourne and Canberra from Bega. The nearest airport is located on the outskirts of Merimbula, an approximate twenty minute drive. The Bega Valley Golf Course is centrally located at Tarraganda. A rolling and picturesque course, it is popular with locals and visitors to the area. The Bega Squash Courts are positioned alongside the Golf Course. A family night is regularly held at the Bega Golf Course. This usually occurs most Fridays and provides local families with an opportunity to dine out at reasonable prices while catching up with friends and neighbours. In 1834 the three Imlay brothers arrived in the Bega area and acquired over 65,000 acres of squatters’ land to begin permanent settlement of the region. They, along with their employees, which included assigned convicts, became the area’s Pioneers. The drought and depression in 1844 forced the Walker brothers, the Imlay bankers, to foreclose on the Imlay properties. The Walkers took ‘Kameruka’ near Candelo, leaving George & Alexander Imlay with ‘Tarraganda’. Peter Imlay purchased Tarraganda in 1847 after the death of his brothers. In December 1848 the workforce at Tarraganda was further enlargened when the ship, Bermondsey, disembarked immigrants at Twofold Bay. In the 1850s and 1860s Tarraganda was frequently separated from Bega by the flooding of the Bega River. In 1894 the Tarraganda bridge across the Bega River was completed, and this greatly improved access. So if you are looking for Tarraganda Real Estate, why not talk to one of our sales team at Fisk and Nagle.